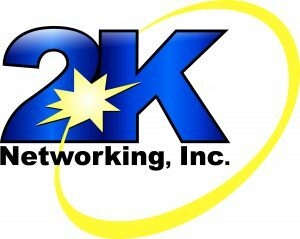 2K Networking Inc. today announced a change of ownership and new leadership for the firm. Josh Hinkle, previously 2K Networking’s director of business development and strategic initiatives, has acquired the company and is now CEO. Former CEO Glenn Pepo will remain on the 2K Networking team in a consulting capacity and will continue to serve clients. Hinkle joined 2K Networking in 2014. He has more than 20 years of strategic planning, operational and technology integration experience. Prior to 2K Networking, Hinkle was chairman of Adams County Connected, a community initiative to improve Internet access in the county for the benefit of schools, government services and commerce. He also previously was chief operating officer for York-based Healthcare System Connections; chief information officer and security officer for Lutheran Social Services of South Central Pennsylvania, where his accountabilities included HIPPA privacy compliance; and national head of data center, network and information security for the American Heart Association, where he was responsible for managing the organization’s enterprise-wide technology infrastructure as well as PCI (Payment Card Industry) compliance. Among the areas of growth Hinkle envisions for 2K Networking are what’s known in the industry as Chief Information Security Officer (CISO) services, Business Intelligence services and Top-Tier Data Center services, which the firm hosts locally in Harrisburg.